You would like to spend your holidays in the Green? Then you’ve come to the right place! 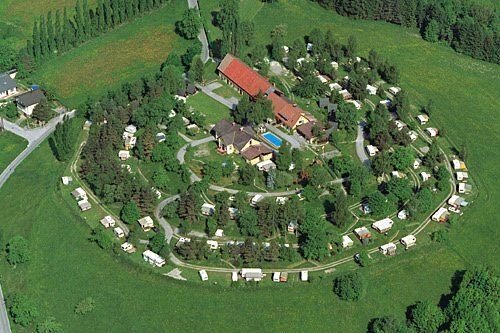 The campsite has it’s pitches is laid out in terraces. 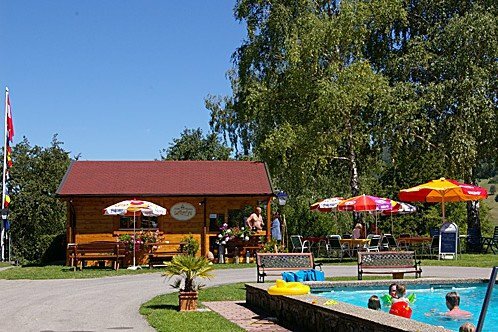 Sanitation facilities, day rooms, shop, reception, swimming pool and café are all found around the central main terrace and so are not far from all camping pitches. Our guests appreciate the well cared facility with personal care and advice. We place great emphasis on personal service and provide you tips for trips. The gentle hills of the Alps are ideal for hiking. 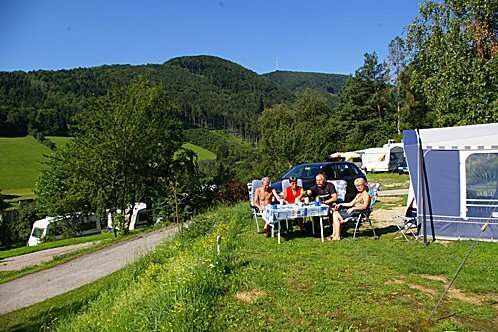 If you prefer cycling, use one of the many mountain bike tracks directly from our campsite or cycle along the river Traisen on the Triasental bikeway. 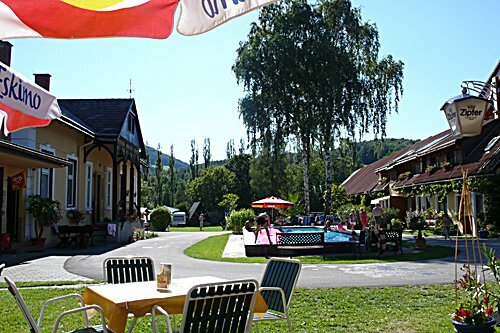 Visit the capital Vienna but stay in Lower Austria. Take one day to get to know the city of Viennese Waltz, Coffee and Sacher cake. It takes you only 1 hour’s drive to Vienna. 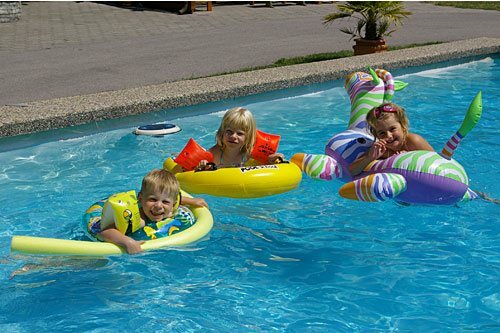 Online pictures – Special guests, special events – Everything about your holiday can be found here. 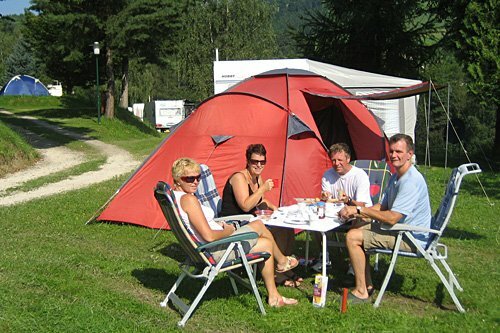 You can find our campsite in all common camping guides. 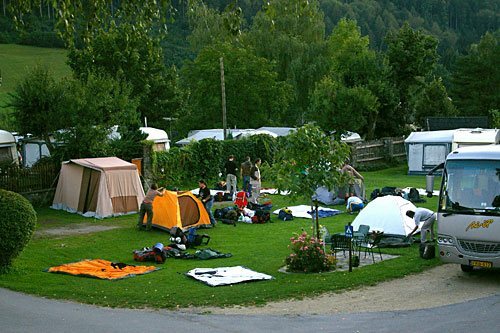 like: ADAC, ANWB, ANWB Charmecampings, ÖCC, CCA, DCC, Camping Navigator, ECC, CCI, Camping Key, ACSI, Touring, AA and many more. Zoover Award Winner! We are proud winners of the Zoover award. At the 2013 ranking we won the first place in Austria. In 2014 we reached 4th place. 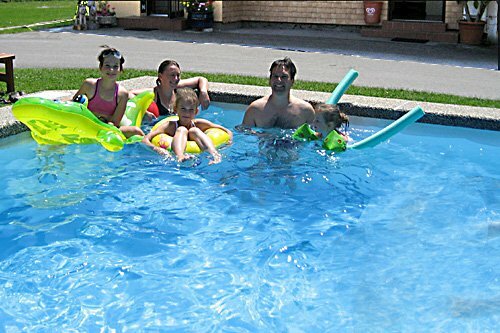 The best evidence of our quality is that many guests stay much longer than planned.